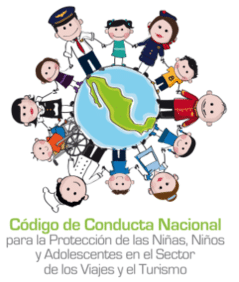 At Grupo Brisas we have joined efforts with the National Code of Conduct for the Protection of Children and Adolescents within the Travel and Tourism Sector. This Code is an instrument created by the Secretariat of Tourism as a voluntary commitment acquired by the tourism industry to protect children and adolescents against any kind of exploitation through the implementation of 6 guidelines in their establishments. The Code commits us at Grupo Brisas to improve the quality of life in our communities, protecting the rights of the people under age against any kind of sexual and labour exploitation, as well as to raise awareness in tourists to promote responsibilities and compromises that project an image of a safe and honourable tourism in Mexico. To orient and commit the tourism industry in the prevention, detection and report of any kind of sexual and labour exploitation of children and adolescents. To involve the social players in the implementation of actions aimed to protect the rights of children and adolescents, and to contribute to the improvement of the quality of life of the population. To offer a Protocol of Action that provides guidelines to identify and act on a suspected situation of sexual or labour exploitation of children and adolescents within tourist establishments, as well as to provide tools to favour the coordination and communication among the government agencies and civil society involved in these issues and processes.